I have long believed that well-made films offer a rich source of moral insight, and Drone Strike, directed by Chris Richmond, is no exception to the rule. It’s a very short film, less than twenty minutes long, but like a carefully crafted short-story, it packs a mighty punch. The primary means of conveying its message is to switch back and forth between two families in two very different contexts: a white-skinned family living amidst all of the modern conveniences in the United Kingdom, and a brown-skinned family living with hardly any modern conveniences in Afghanistan. The father and husband in the UK, Will Brydon, is a Royal Air Force (RAF) drone operator. He dons a uniform, grabs a quick breakfast with his family, kisses his wife goodbye, and drives his car off to work, dropping his son off at school along the way. Brydon’s office is a trailer, not unlike those at Creech Air Force Base in Nevada. Like his analogues in the United States, he spends his day sitting before a screen, joystick in hand, ready to “engage” targets as orders are transmitted to him by a radio dispatcher. Brydon has no direct access to the intelligence being used by analysts and commanders to determine whom to kill, but he is able to see the targets before firing on them. When he and his comrade, the laser operator, are given clearance to eliminate a target, they go through a series of steps to lock on with a laser before taking the shot. The father and husband in Afghanistan is a brown-skinned adult male, empirically indistinguishable from an “evil terrorist”, as far as the drone program analysts are concerned, although they have no idea who he really is. He is about to be made the victim of the latest “signature strike”, the targeting of a brown-skinned male of military age whose behavior coincides with a “disposition matrix” of known terrorist behaviors. On the fated day depicted, the “suspicious-looking” man has driven his truck to a place thought to be frequented by “evil terrorists” and is on his way home. What was he doing, rubbing elbows with suspected terrorists? He was filling up the bed of his truck with rocks to use back at his dirt-floored home. Judging by their somewhat surly exchange, he was not on particularly good terms with the men from whom he was buying the rocks. Clearly his “association” with these people involved no more than a simple business transaction. On his way home, the loud sound of a missile strike off in the distance disrupts his concentration, causing him to drive over a gaping hole in the road. As a result, one of his tires goes flat, and he needs to fix it in order to continue his journey. The rest of the story is all too familiar to anyone who has read NGO and human rights reports on the drone campaigns: the British father and husband uses the latest and greatest military technology to obliterate the Afghanistan father and husband, who is out in the middle of nowhere fixing a flat tire. He had the misfortune of being spotted by analysts behind the scenes whose job it is to locate suspected terrorists to kill. To do their job well, they must deliver. Better safe than sorry! they decide on the basis of their drone footage, in some cases supplemented by the bribed testimony of locals. 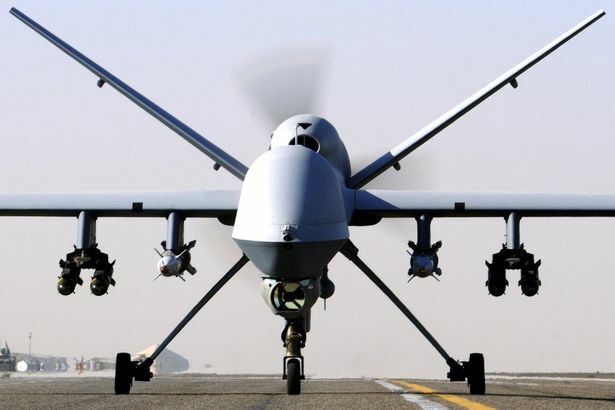 The RAF drone operator initially questions the identification of this man as a terrorist, and vocalizes his impression that it just looks like a guy with a broken-down truck. The laser operator scoffs at his comrade, crowing “Guilty as Charged!” and seems excited about the opportunity to “get some”. Together the two soldiers fire on the suspect, and the laser operator cheers when the missile obliterates the target, calling him a “mother fucker”. Later, after returning home to his family, Bryson begins to reflect upon what he may have done, as doubts are bubbling up again in his mind. Perhaps the man by the truck really was an innocent husband and father out gathering rocks to shore up the walls of his crumbling home. The naggings of conscience begin to creep into Bryson’s consciousness, likely never to be fully expunged. Over time, his skepticism may develop into regret and feelings of guilt and shame about the day when an innocent man’s life was ended because he capitulated to peer pressure and suppressed his skepticism in the moments prior to launching the missile. The British family has no idea what the soldier has done, but the survivors in Afghanistan are plunged into grief upon the loss of the head of their household. If the drone operator continues on in this profession, he may eventually develop PTSD. In the final shot of the film, the young son of the slain father is shown in a visible state of rage, his face illuminated by light on one side, and shrouded by darkness on the other. The implication is clear: this is precisely how fledgling terrorists are made. They are reacting to their own experience or witness of crimes by the enemy against which they vow to retaliate. “Signature strikes” involve explicit racial profiling. If the man with the flat tire had been white-skinned, he likely would not have been killed. White-skinned people are not more valuable than brown-skinned people. To sacrifice a brown-skinned person in order to save a white-skinned person is racism pure and simple. Wearing a uniform and following orders does not preclude a soldier’s commission of crimes. Orders in violation of the Geneva Conventions should not be followed. Unarmed persons do not pose an immediate and direct threat to anyone. Following the orders handed down by an anonymous authority does not absolve the agent from responsibility for what he has done. Following even legal orders does not insulate a soldier from the psychological trauma of having to live with the memory of what he has done for the rest of his life. If suspects are innocent until proven guilty, then this applies no less to brown-skinned persons in Third World countries than it does to white-skinned persons in First World countries. Brown-skinned fathers and husbands are no less important to their children and spouses than are white-skinned fathers to theirs. By ordering drone strikes against British nationals, Prime Minister David Cameron has followed in the ignominious footsteps of Tony Blair by effectively becoming the “poodle” of the current US president. Blair notoriously went along with the Bush administration scheme to wage a preemptive war against a sovereign nation at peace in 2003, violating international law, directly causing the deaths of hundreds of thousands of people, the exodus of millions of others, and wrecking Iraq, which remains in shambles still today. 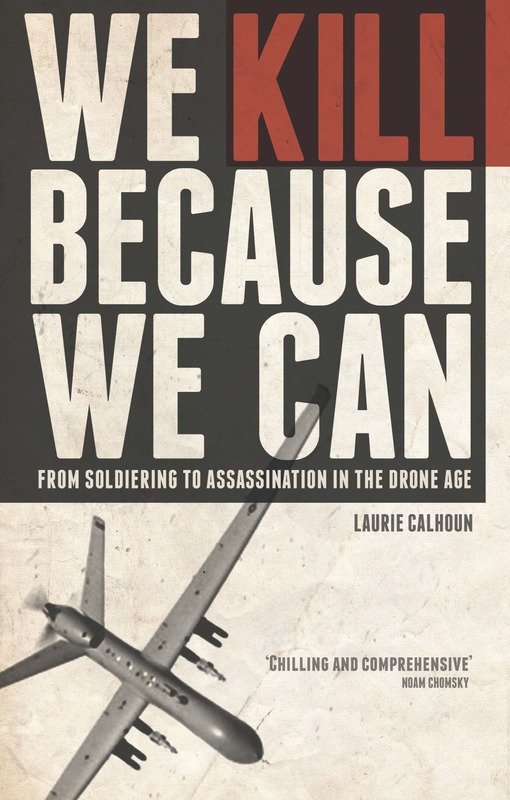 Self-styled “drone warrior” Obama’s signature policy, “Kill don’t capture”, was implemented when he found it politically difficult to house detainees suspected of complicity in terrorism. Never troubled by the high proportion of innocent suspects found among the men imprisoned at Guantánamo Bay, Obama decided to deal with the problem of suspects “lawyering up”—as former Secretary of Defense Rumsfeld and Vice President Cheney used to say—by killing them all, and inverting the burden of proof. Terrorist suspects, in the Obama administration world view, are guilty until proven innocent, which no one is able to do pre-posthumously because targets are not informed that their names have been placed on secret kill lists. The Obama approach is slick, simple and politically satisfying: light them up with a Hellfire missile! No more embarrassing human rights issues arise over detainees mistreated and held without charges. No more nagging lawyers, no more hunger strikes. Not content with simply “taking out” suspected militants/insurgents/terrorists (all of which have been conflated for years, following Bush) in countries such as Yemen, Pakistan, Somalia, and Libya, where war was never formally waged, Obama went one step further. He authorized the extrajudicial execution of Anwar al-Awlaki and other US nationals, including Al-Awlaki’s sixteen-year-old son, Abdulrahman, who was assassinated two weeks after his father. According to bureaucratically crafted rules of engagement (ROE), Abdulrahman was a “military-age male” and therefore fair game for slaughter in any territory labeled “hostile” by the “kill committee”. Painting himself as “strong on defense,” Obama proudly revealed himself to be a member of that committee during his 2012 election campaign. 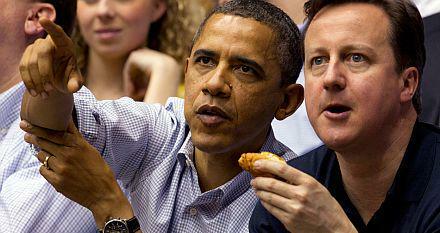 British Prime Minister David Cameron has consistently stood by Obama during his various bellicose initiatives. Cameron was ready and willing to support Obama when he called for war on the Syrian government in 2013, and then again on the Syrian government’s worst enemies (ISIS) in 2014. However, Cameron no longer simply applauds the Obama administration’s calls for war, including the drone strikes used to dispatch suspects who might possibly pose an imminent danger (though it need not be immediate). Now Cameron, too, selects British citizens for summary execution according to unknown criteria determined in secret proceedings, all said to be necessary for state security. Cameron, who authorized the drone killing by the RAF of Ruhul Amin and Reyaad Khan, is now a card-carrying member of the “kill committee”. And, yes, Barack Obama’s poodle.